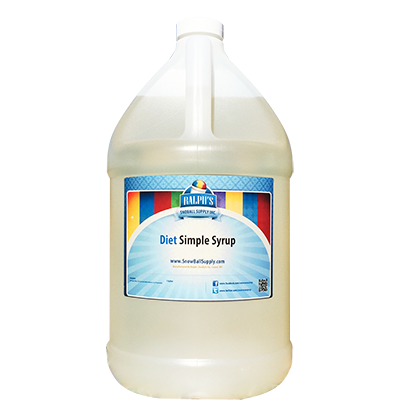 Snow Cone Simple Syrup is commonly called or referred to as Sugar Water. 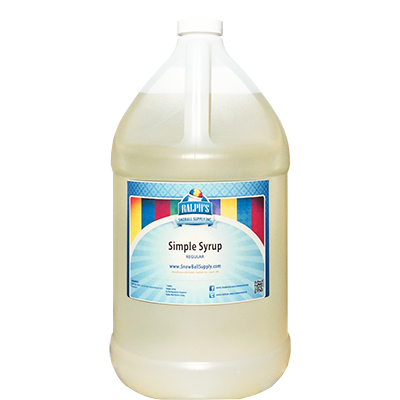 Ralph's SnoBall Supply uses 100% pure cane sugar in all of its syrup products. Our Shaved Ice Simple Syrup Recipe is blended in the tradition of Hawaiian and New Orleans style shaved ice flavor base. It has a 6 Month shelf life and it does not require refrigeration. Opening the bottle does not shorten the shelf life. Because it is made with pure cane sugar, It makes excellent snow cone syrup. However, it can be used to sweeten iced tea and other beverages. Actually, it is the preferred sweetener for cold beverages because unlike sugar, it mixes easily with cold liquids and it does not crystallize as readily as granulated sugar. Ralph's Simple Syrup is Ready To Use. 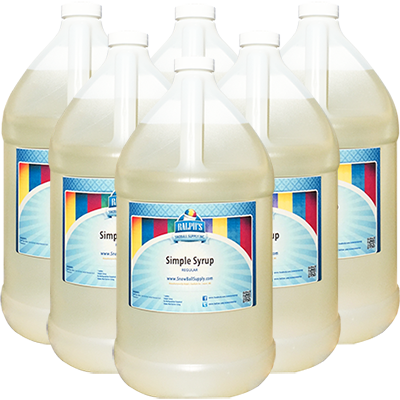 Simply add snow cone flavor concentrate to make snow cone syrup and other shaved ice desserts. It has many uses but our main focus is on snow cones. You can either purchase Ralph's ready to use brand or you can make your own using the recipe in the chart below. It will remain fresh for a week or two without preservatives (maybe a little longer if kept refrigerated). The shelf life is extended to 6 months when preservatives are added. Our ready-to-use brand contains preservatives. There you have it. Please browse the products page. to place an order. Important! 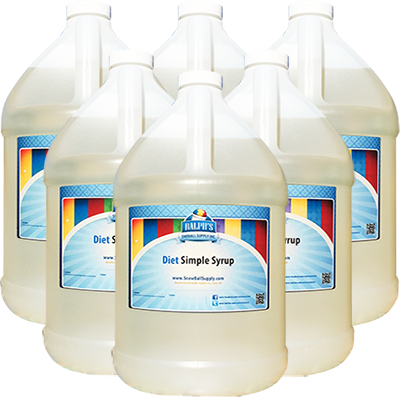 Stir in preservatives separately to avoid crystallization of the preservatives. 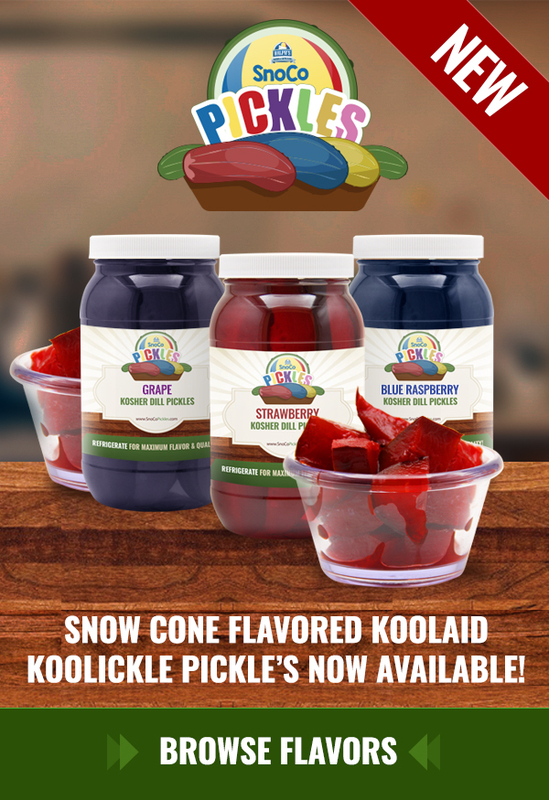 Ralph's Snow cone syrup is a combination of water, cane sugar, snow cone concentrate and preservatives. View instructions below. 1. Shake the flavor concentrate well before using. 3. Use 1 oz. of concentrate to flavor 1 quart or 4 oz. to flavor 1 gallon. Pour over fine shaved ice and serve.